The white, fluffy part of the Salsify plant is very similar to the fluffy part of a Dandelion plant. What is its function? No. Pollination occurs with the flower, not with the fluffy part of the seed. No. The fluffy part is part of the seed. It does not produce the seed. Yes! 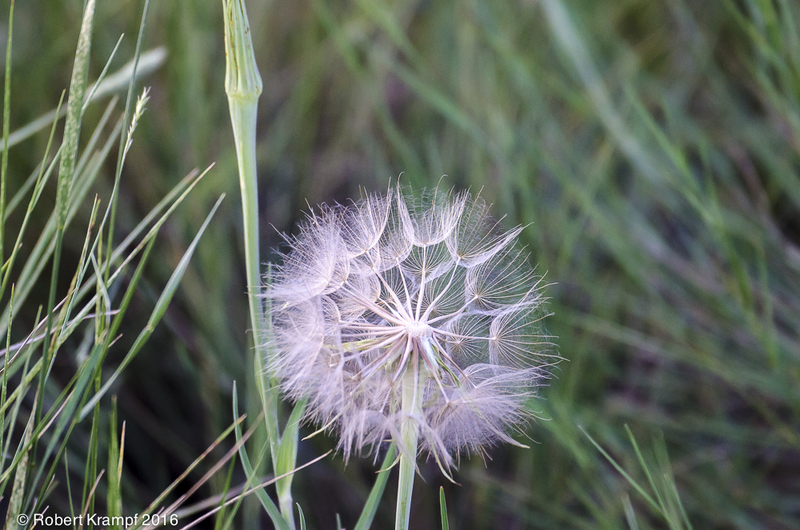 The fluffy part of the seed catches the wind, letting a breeze scatter the seeds over a large area. No. Germination occurs after the seed reaches the proper conditions, with soil and water.